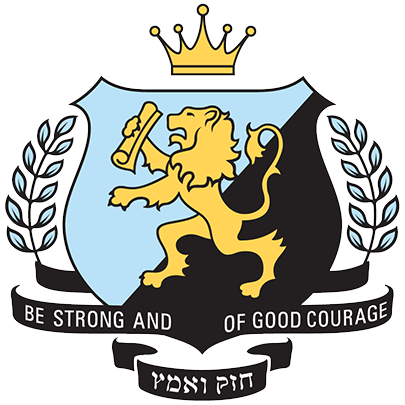 Mount Scopus is a Co-educational Jewish Day School, with over 1,500 students from Kindergarten to Year 12, located in Melbourne, Australia. 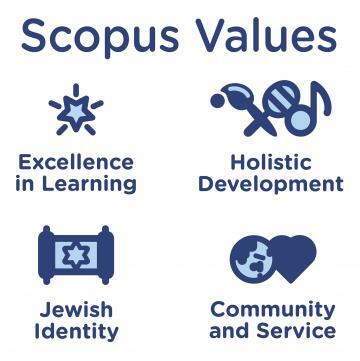 Whilst incorporating the latest twenty-first century technology and pedagogy, we remain true to our ongoing mission – helping our students to grow into knowledgeable and proud bearers of their Jewish and Australian heritage, ready and equipped to play their full part in society. We held a L'chaim for Josh Frydenberg on his elevation to Federal Treasurer and Deputy Leader of the Liberal Party. Share any important occasion with your Scopus family. Create a donation page for your lifecycle celebration, or to remember someone special, or set up a specific group project. Over the past 30 years the Mount Scopus College Foundation has raised over $54 million dollars to support the programs and facilities of the school. Dedication of the Mohr Outdoor Learning Space at Gandel Besen House. Appointment of Ari Suss to the Foundation Executive. Finalization for the Master Plan for the total redevelopment of the Gandel Campus at Burwood which will result in a complete transformation of the Lew Family Secondary school and an upgrade of facilities for all students and visitors. The establishment of a professionally managed endowment fund – our ‘Future Fund’ – with a significant corpus and policies to aid its growth. Dedications of Meydan Family Plaza and Small Family Resource Centre at Smorgon Family Primary School. Development of new strategies for seeking support, including corporate partnerships. ‘Courage Then, Strength Now’ Exhibition presented by the Helen Synman Archive Project. Commitment to process to build Endowment Fund and re-creation of investment committee. Appointment of Tony Smorgon as Chairman. Henry Lanzer retires after 18 years of distinguished and dedicated leadership as President. David Gold assumes the role of President. Development of the vision and strategy for a renewed secondary school environment. Foundation Celebration Dinner with guest of honour The Hon Tony Abbott MP, Prime Minister. Chairman Solomon Lew retires after 26 years of inspirational leadership. Lew Family Secondary School dedicated in recognition of the immeasurable contribution of the Lew Family. The ‘Alter Family School of Jewish Studies and Ivrit’ was proudly dedicated in honour of the Alter Family’s longstanding support and involvement at Scopus. The Hamakom dedicated in memory of Dalia Pizmony. Weinman Levy Oval at Gandel Besen House. Prep Inquiry Area at Gandel Besen House dedicated by Ann and Arnold Singer. Creation of the Leon Liberman Memorial Bursaries by the Lee Liberman Family. New building for Smorgon Family Primary School at Gandel Campus. The Kikar of Smorgon Family Primary School dedicated by the Roslyn and Richard Rogers Family. New furniture, refurbishment and air-conditioning for Secondary School. Students enjoy a new Gandel Besen House. Alter Family Plaza at Gandel Besen House. Dedication of Helen Synman Archive Project. A focused appeal, generously supported by the College’s major benefactors, provided the ability to minimise fee increases and to offer additional bursaries. Kitchen Garden Project Primary students learn to grow vegetables, fruits and herbs and to prepare and serve healthy meals. Interactive Smartboards enter all classrooms supported by the George and Gita Smorgon family. Dedication of Roslyn Smorgon Outreach Program. Soccer Oval dedicated by Sue and Michael Karp Family. Helen and Bori Liberman Family commence their significant support for the Ulpan Program. Screen and Image dedicated by Karen Stock-Schnall. School visit and Foundation Dinner with Professor Alan Dershowitz. $1,800,000 disbursed to the College. Szalmuk Family Early Learning Centre. Kindergarten classrooms dedicated by Myra and Godfrey Cohen, Judy and Solly Joss, Musia and Arthur Shafir and in memory of David Klamberg and Max Pascoe. School visit and Foundation Gala Dinner with President Bill Clinton. Renewal and expansion of Fink Karp Ivany Campus. Renewal Gandel Campus Station Street entrance, bus and car park. Foundation Jubilee Dinner with guest of honour, Prime Minister John Howard. The Gandel Family gift provided for extensive and widespread refurbishment, new biology and primary computer laboratories and upgrading of all technology. In appreciation, the Burwood Campus was dedicated as the Gandel Campus. Dedication of the Susie and Eric Stock Drama Studio. New science and art facilities, dedicated by the Alter, Hansky and Lubansky families. Five modular classrooms added to Smorgon Family Primary School. $3,769,000 disbursed to College for tuition fee assistance. Mount Scopus College Foundation launched by Prime Minister Bob Hawke.